MOSCOW, Russia -- Twenty years ago, on December 8, 1991, the leaders of the Soviet Union's Slavic republics – Russia, Ukraine and Byelorussia – signed an agreement dissolving the Soviet Union. Formally, they claimed the right to dissolve it because these three republics established it in 1922. Many analysts still dispute the legitimacy of this deal, but that does not change anything. By December 1991, the Soviet Union had de facto ceased to function, as power already belonged to its constituent republics. The 20th anniversary of the collapse of the Soviet Union evoked more lively debates than the tenth or 15th anniversaries. This seems paradoxical – with the passage of time, emotions generally subside, giving way to more sober and unbiased analysis, all the more so since the Soviet past is no longer a functional tool capable of creating something new. This anniversary brought into stark relief the divisions between Russia and the other former Soviet republics. In Russia, people remember the collapse with mixed emotions. Some feel sorrow and nostalgia, others feel joy and schadenfreude, but everyone perceives it as a loss. The other republics, which are still called “newly independent states,” celebrate it as their birth, that is to say as something gained. This conceptual difference existed before, but now it is acquiring a special meaning for Russia. The fixation on collapse – an exclusively destructive act – is setting the tune for national development. Luckily, Russia has never had strong revanchist attitudes, but it is still suffering from an inferiority complex in its current borders, although it is perfectly clear that nobody wants to restore the USSR. Sorrow over the end of the Soviet Union primarily reflects the absence of a conceptual replacement for the former socio-political formation. The ideological anti-communist revolution of the early 1990s, designed to discredit the Soviet model to the world once and for all, quickly came to a halt. First, nobody found convincing and consistent arguments, without internal contradictions, that could be patiently and professionally introduced into the public consciousness. Painting a picture of the horrible, totalitarian past was not as easy as it first seemed. It was impossible to ignore the achievements of the Soviet era without putting oneself in a vulnerable position. To this day, pro-Soviet demagogy easily prevails over anti-Soviet rhetoric. Second, some manifestations of “real democracy” have been so repulsive that many have started looking at “real socialism” through rose-colored glasses. Finally, the political class took up a completely different matter – trying to convert the credit of public trust into power and property for itself. The reforms of the 1990s, primarily privatization, reached their real, as opposed to stated, goal, and returning to the Soviet economic model and politics became impossible. Yet, the exploitation of nostalgic feelings for Soviet life became widespread – having started under Boris Yeltsin it flourished and became systemic under Vladimir Putin. And there are no signs of this replacement so far. Modern Russia finds it hard to deal with anything related to “values,” which makes it unreasonable to hope for the formation of any ideological platform. 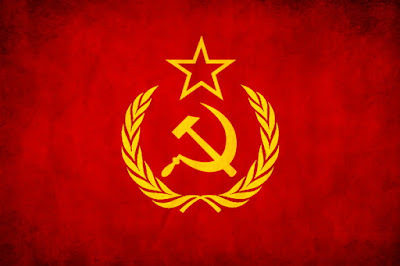 It is possible to artificially maintain interest in the Soviet Union for a long time, but in this case the public debate will be increasingly divorced from real politics and goals. With the passage of time, the Soviet past will become increasingly distorted as in a crooked mirror, engendering a more counterproductive and inadequate public response. For all the differences from other republics (and Russia is still the official successor of the USSR and remains an empire structurally), Russia will still have to traverse their path to some extent. The next stage involves acquiring a non-Soviet and non-post-Soviet identity, that is, to accomplish the task that other union republics have resolved – each in its own way. Lamenting the loss over and over again is not just useless but counterproductive, all the more so since it is difficult to get out of the trap – the same elite that longs for the “real country” (its second generation) consists of the same people that once condemned it to extinction. After all, it was the Russian Federation that played the decisive role in the Soviet Union’s collapse. Popular fronts in the Baltic states or Ukrainian nationalists would have never achieved their goals if the Russian democrats had not backed them. The sooner Russia views itself as a self-sufficient and fully-fledged state rather than a fragment of “something real,” the greater the chance it will be able to channel the nation’s energy into a constructive endeavor.